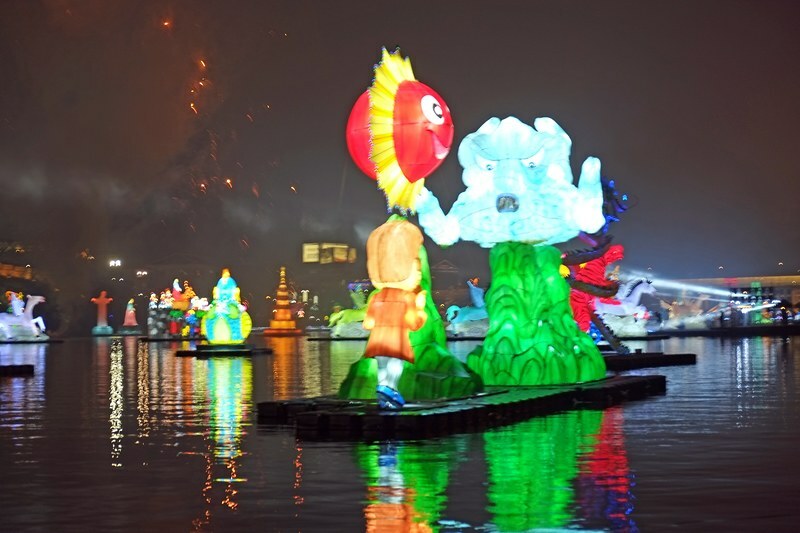 This week we’re five hours from Seoul at the Jinju Lantern Festival (Jinju Namgang Yudeung Festival). Welcome to week 296 (10/6/2016) of Travel Photo Thursday. 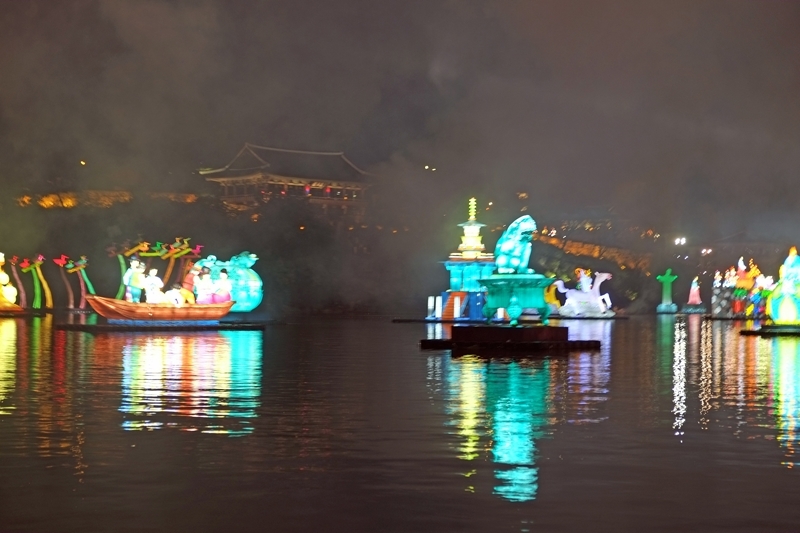 Hundreds of lanterns, of every size, shape, and description, light up the river, and the surrounding area, in the southern city of Jinju, South Korea for two weeks each October. 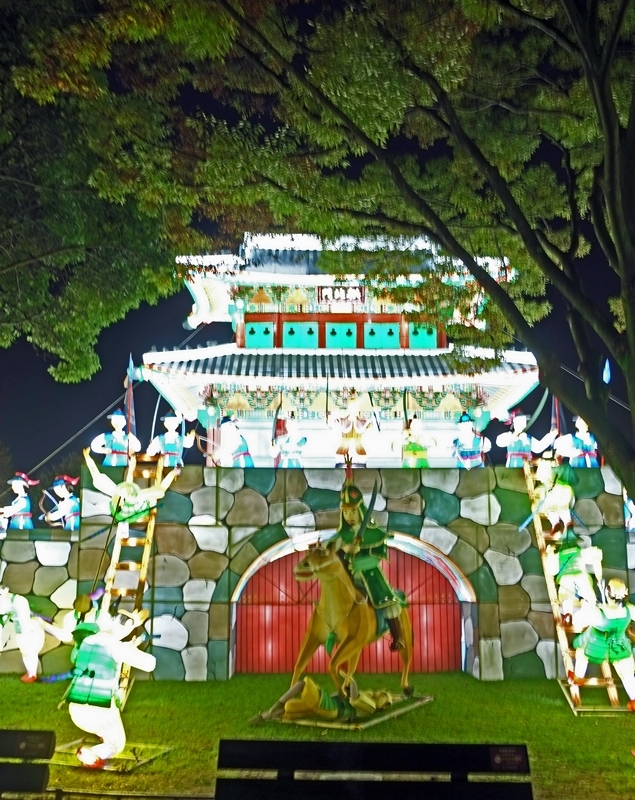 The festival is in honor of the 70,000 troops who defended the city from the Japanese during the Imjin War (1592). 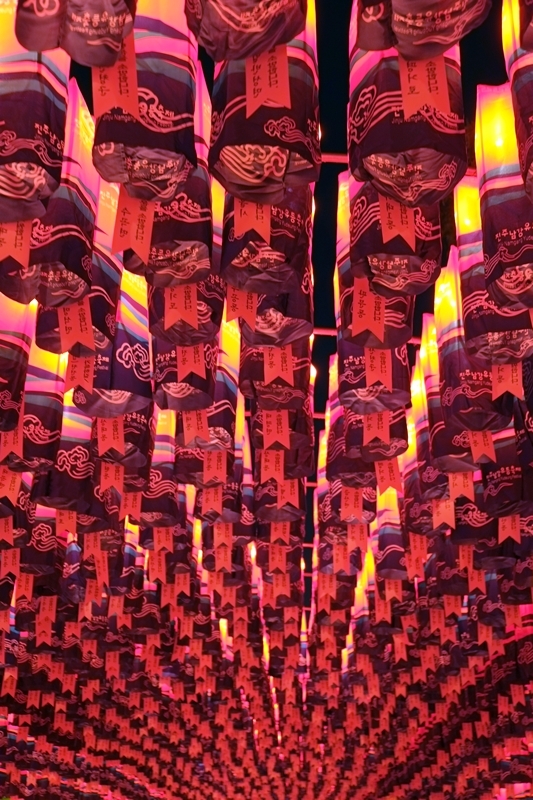 In spite of some heavy rain at the beginning of the evening, we enjoyed the opening fireworks and the intricate, beautiful lanterns. We arrived by bus at around 5:00 pm, and found our way to the festival grounds. Sitting at a beer and chicken joint with a prime view of the opening ceremonies we waited and waited some more. It poured rain for what seemed like 2 hours, but was probably only 45 minutes, and thankfully we were somewhat sheltered. Once the weather decided to co-operate, we were treated to a great fireworks display. This first photo is just as they ended. This first lantern looks like summer and winter are having a bit of a heated conversation. “Mr. Winter” doesn’t look too happy. I wonder who’s winning. Right now we’re still enjoying temperatures close to 30Cel, so I have to go with summer. This photo shows the lingering smoke from the fireworks. I think it creates a great atmosphere around the temple on the hill. 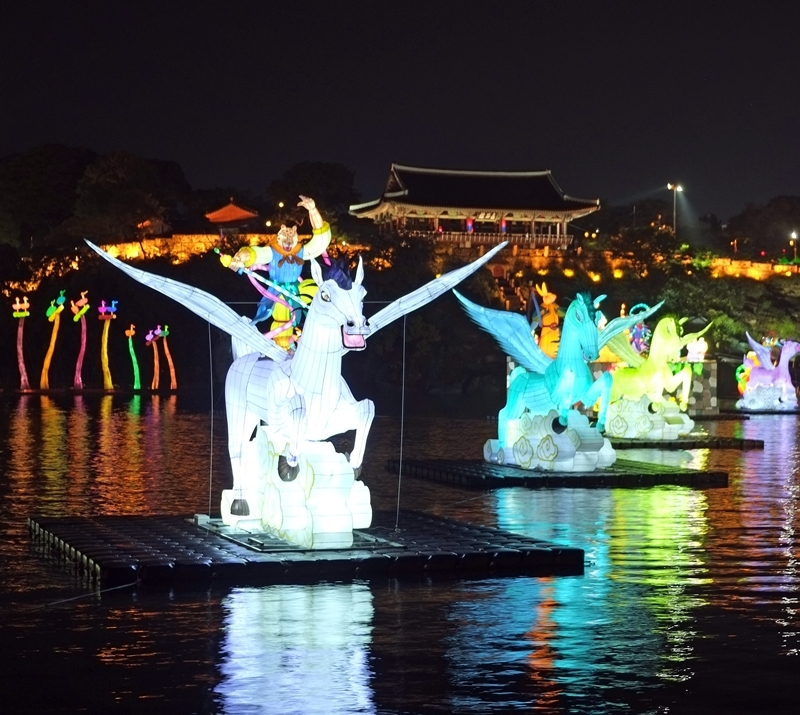 These flying horses were one of my favorites, and I did a bit of research to try and determine their significance here in Korea. The horse is called a Chollima, and apparently, its origins are in the Chinese classics, and it’s often found in East Asian cultures. Legend has it that the winged horses are too fast to be mounted by mortals. From what I read, the Chollima seems to associate more with North Korea than South. In the 1950’s the North launched what was called the Chollima Movement, aimed at promoting rapid economic development. We all know how well that worked! 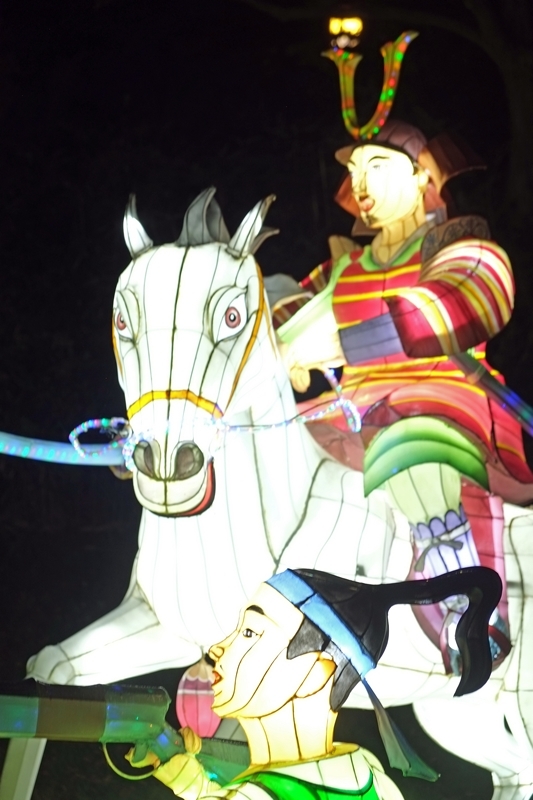 I have no idea why they are so prominent at the Jinju Lantern Festival, but they are gorgeous! I would never think of a Korean traditional family going for a family boat ride. However, it makes sense. Towns and cities all have a river running through their centers. 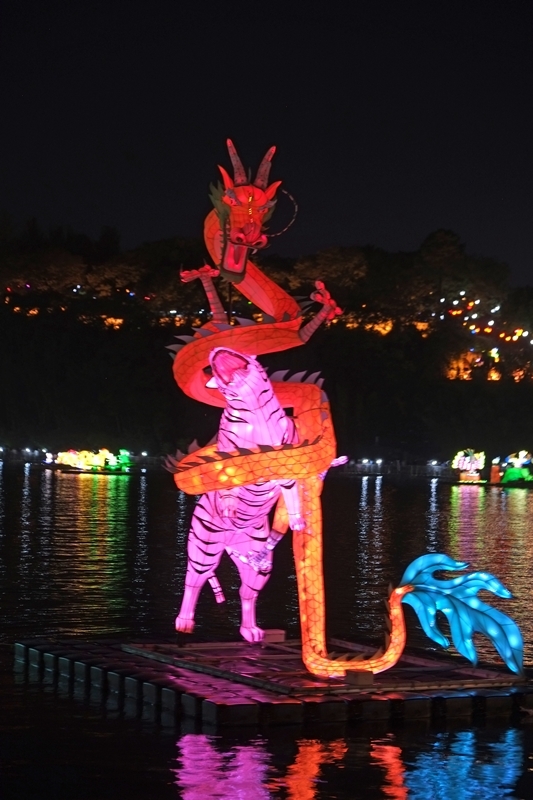 The dragon and the tiger were another favorite. Both changed colors, but the red dragon stood out. I love the green tiger and the electric blue dragon tail. 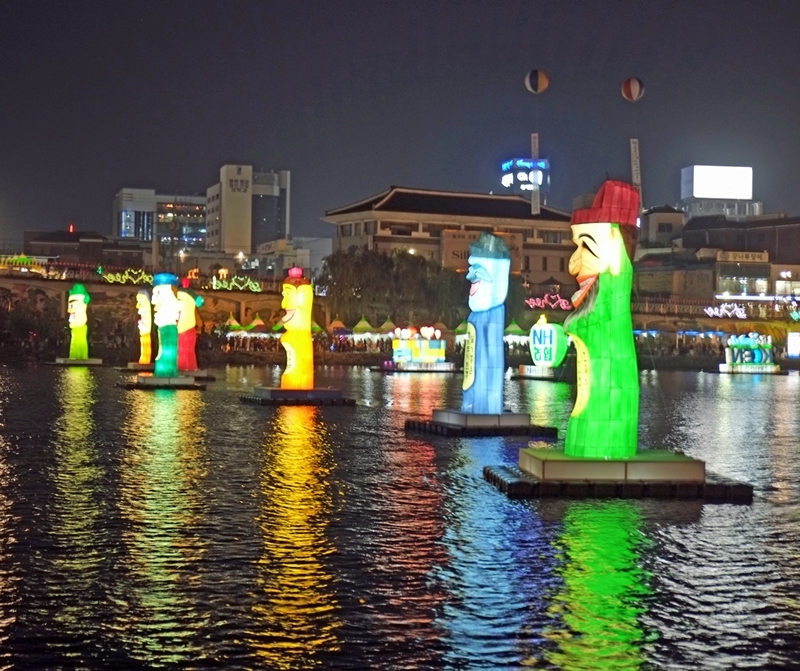 Known as Janseung, these totem poles are found in any Korean town or city. They serve as protectors of the Korean people. 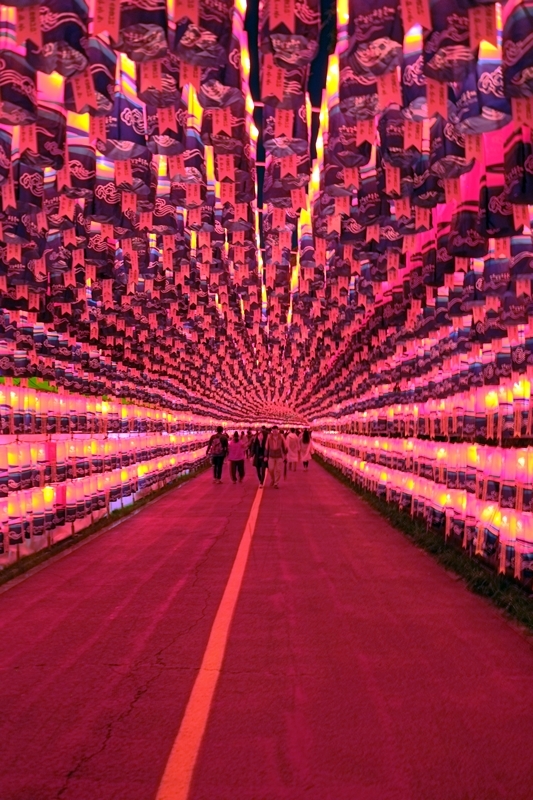 The colorful lantern tunnel is one of the highlights of the Jinsu Lantern Festival. 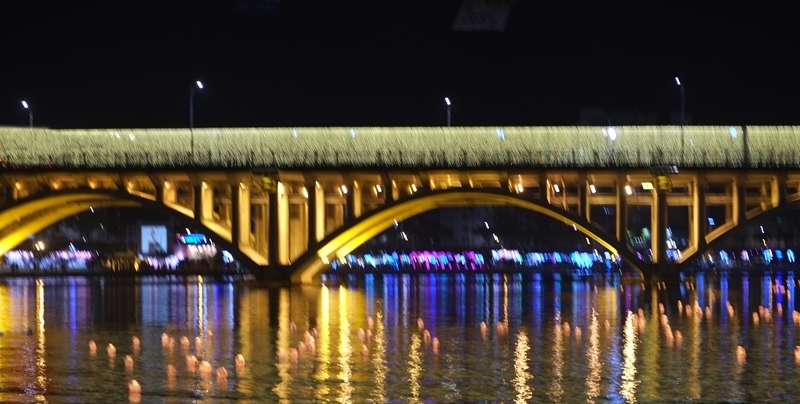 Thousands of lanterns are set afloat on the city’s Nam River during the Jinsu Lantern Festival and have historical significance. This was a tactic used by the Korean military at the time of the Japanese offensive (Imjin War, 1592), to keep the Japanese soldiers from getting across the river. There were just as many lanterns on land as were in the river. A Korean traditional dancer with his ribbon hat, and hand drum, and he moved! 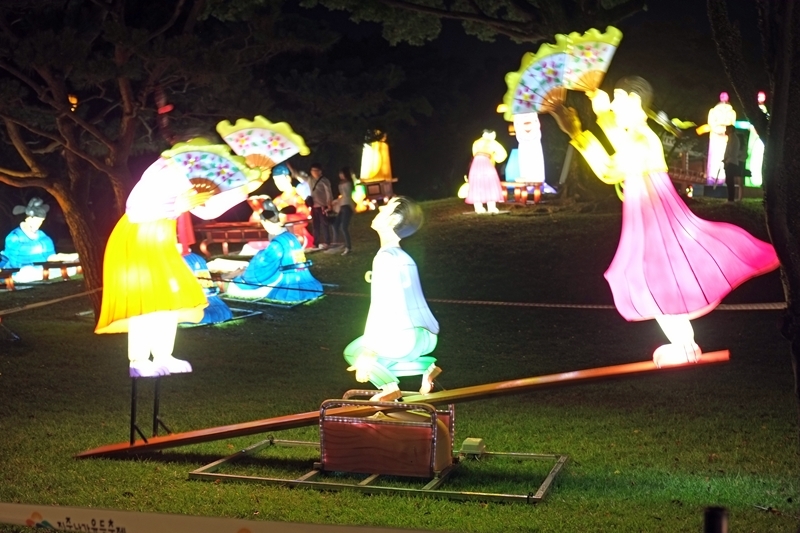 The teeter-totter was a favorite past-time in traditional Korean villages. A mounted soldier ready to do battle. Guarding the city wall from the Japanese. The troops are defending the city wall. This massive display is sponsored by the Chinese government. 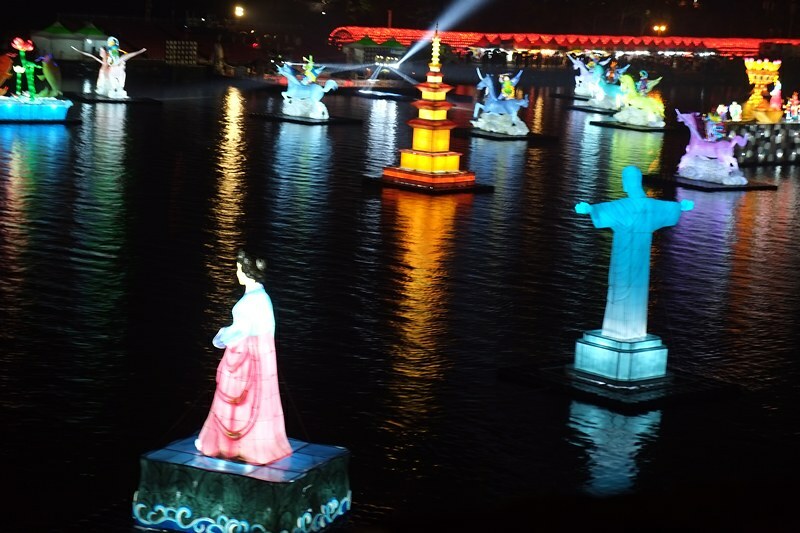 China seemed to be the only country hosting a display. Finally, no festival is ever complete with food! 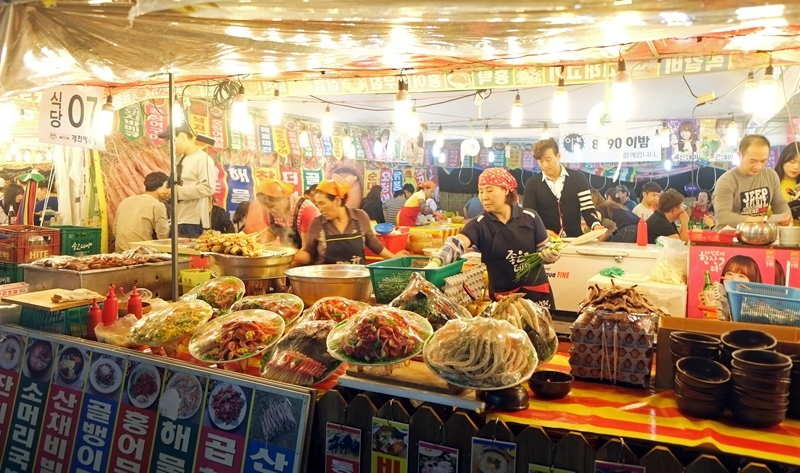 Here is a typical Korean festival food tent, serving up a variety of traditional Korean dishes. 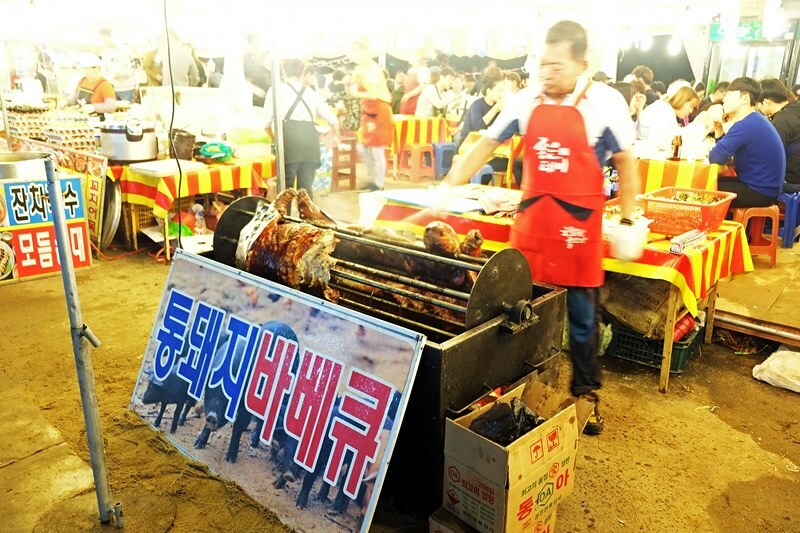 Also, it’s very common to have pigs roasting on a spit at spring and autumn festivals. If you like pork, this is a must-try! The festival runs from October 1st to the 16th. Admission is 10,000Won for adults, 5000 for Children. Some of the indoor exhibits could be open during the day (exact times are not mentioned on their website) To see the lanterns lit it’s best to go after 5:00 pm. Finally, check out the the official festival page for further details, and I would call the Korean tourist line (02-1330) to determine the opening hours. You can get to Jinju by bus. If you are traveling from Seoul, it’s a four to five-hour ride. I took a shuttle bus, offered by a tour company called Trazy, which dropped us off at 5:00 pm and picked us up at midnight. We arrived back in Seoul at around 4:00 am. 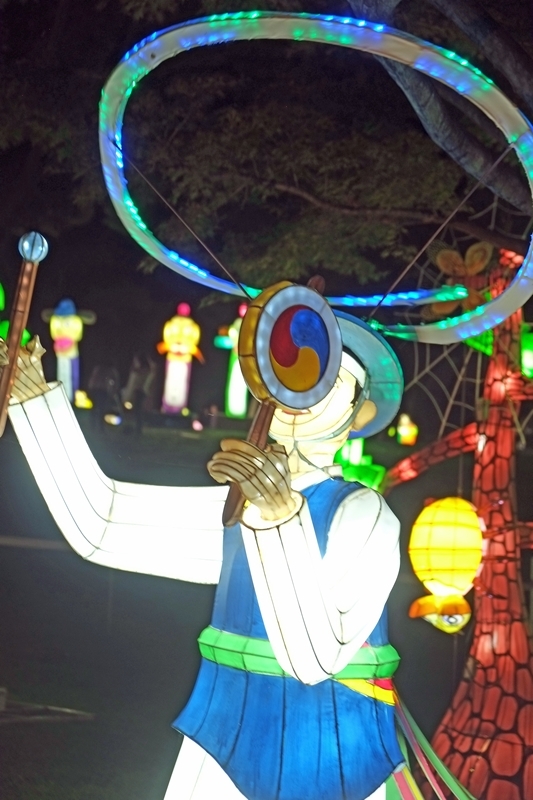 Have you been to the Jinju Lantern Festival? What did you think? Do you have a similar festival in your country, or have you discovered one in your travels? Let us know in the comments. 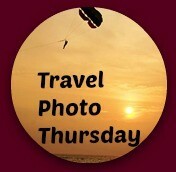 Leave a comment on which of these Instagram travel moments is your favorite. Which of these destinations have you been lucky enough to visit? 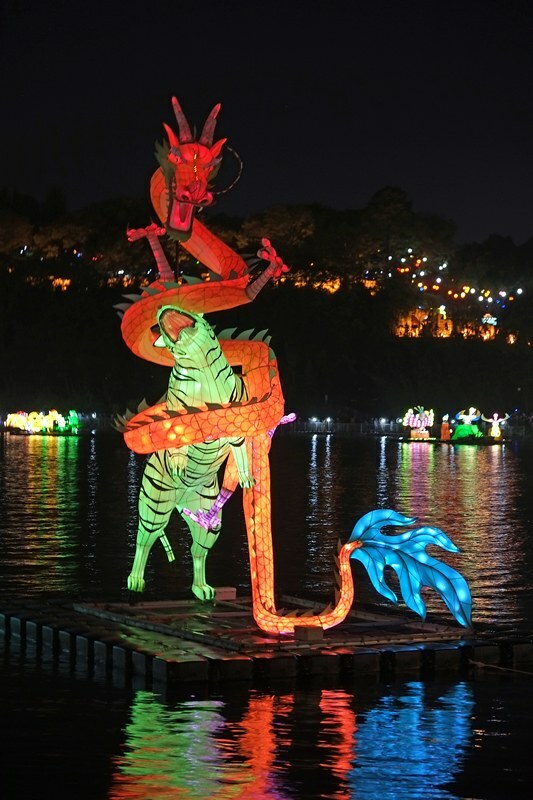 There are so many things I love about this lantern festival. Love all the colors and the uniqueness here. I would travel 4-5 hours too to see this festival. How cool is that lantern tunnel and such a great background story on those flying horses. wow! Great nighttime shots Nancie! Love the colors and what a fun festival ~ Sorry I am late again to the linkup. I am still getting used to this time zone I guess. WOW what a great spectacle to see!! And I love roasting pig. Wow! The festival looks amazing! Those lanterns are so detailed and colorful. SO great the people who defended the city are celebrated. I would like to try the roasted pork and compare to the one prepared in Puerto Rico. 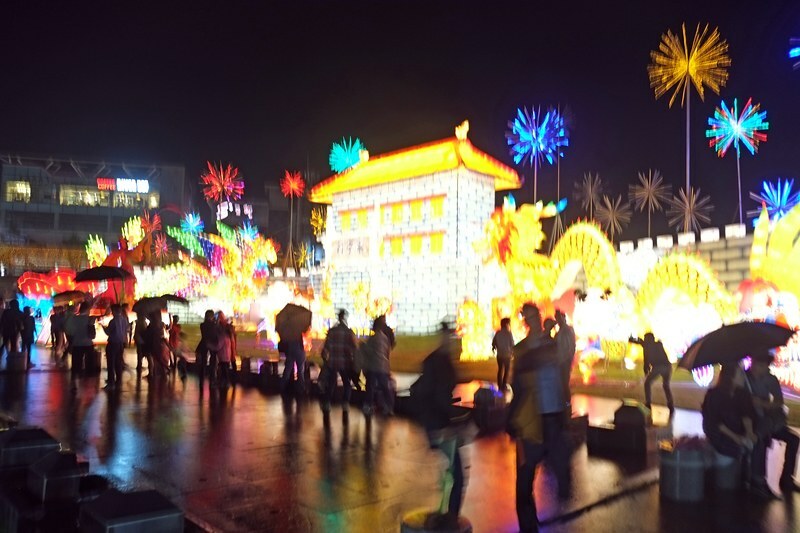 I miss lantern festivals. My favorite picture of yours is the one with the winged horses. 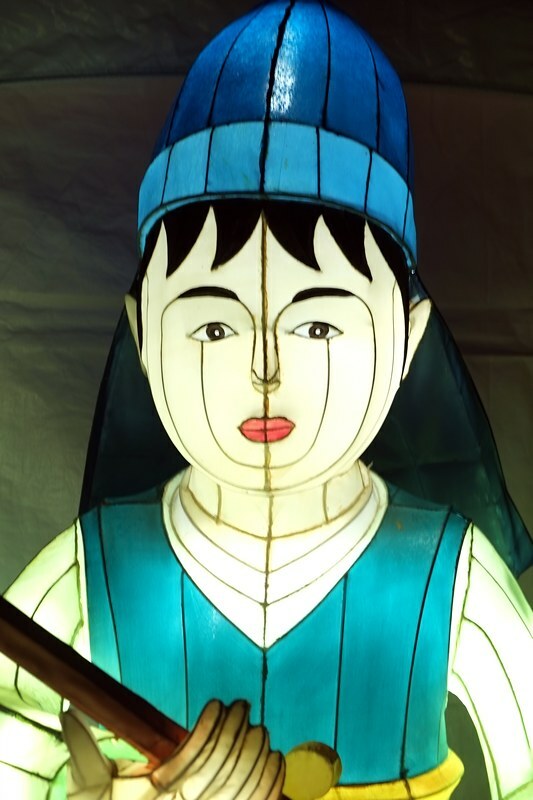 Do you know if the lanterns at Jinju are reused year after year or do they introduce new ones annually? I can almost smell that roasting pig and know that I’d be lining up to get some. Wow – all that colour and light – almost overwhelming. I think my favourite would be the lantern tunnel and the floating lanterns. I love the history and tradition of these festivals.